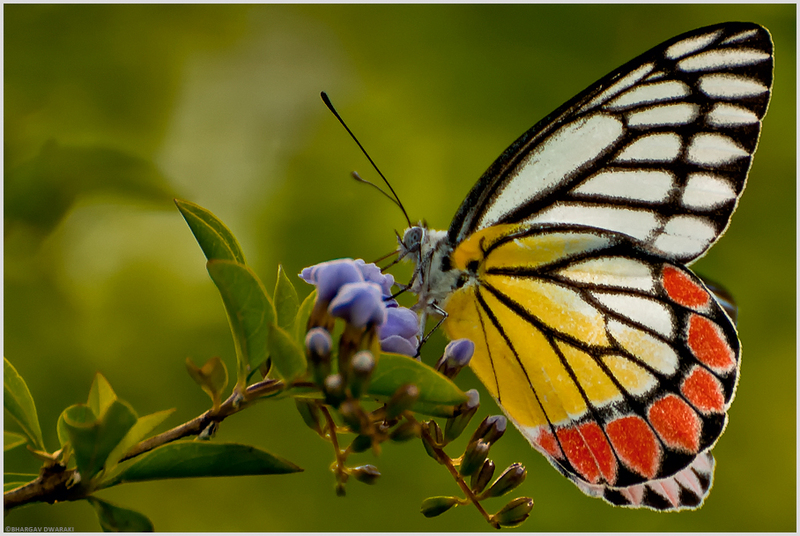 I had posted a photo of Common jezebel earlier (here is the link if you haven’t seen ) but I am too tempted to post the photos of this beautiful butterfly which I took last month, in Hebbal. All comments, critiques and suggestions are welcome. 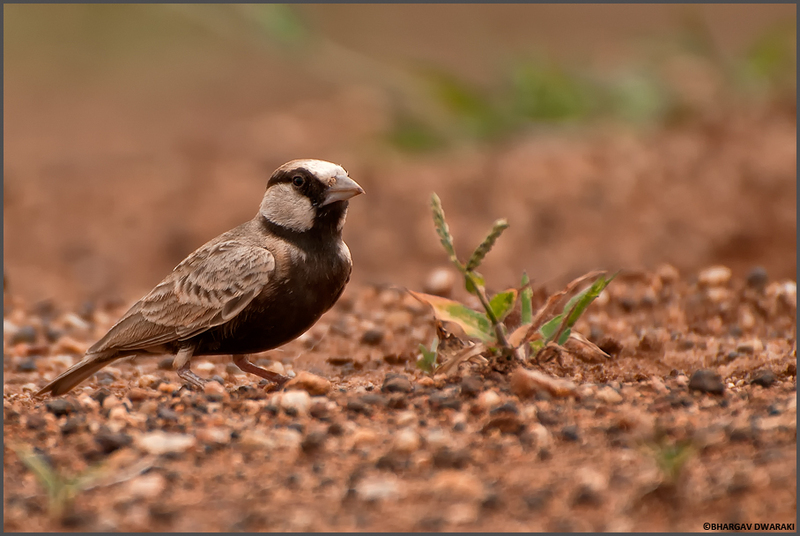 Ashy – crowned Sparrow Lark (Eremopterix griseus) is a lovely, small bird (12cm) about the size of sparrow.It is also known as Ashy – crowned Finch Lark or Black-bellied Finch-Lark.It is a bird of open dry habitat.The males are marked with a contrasting black and white face pattern,females are sandy brown. 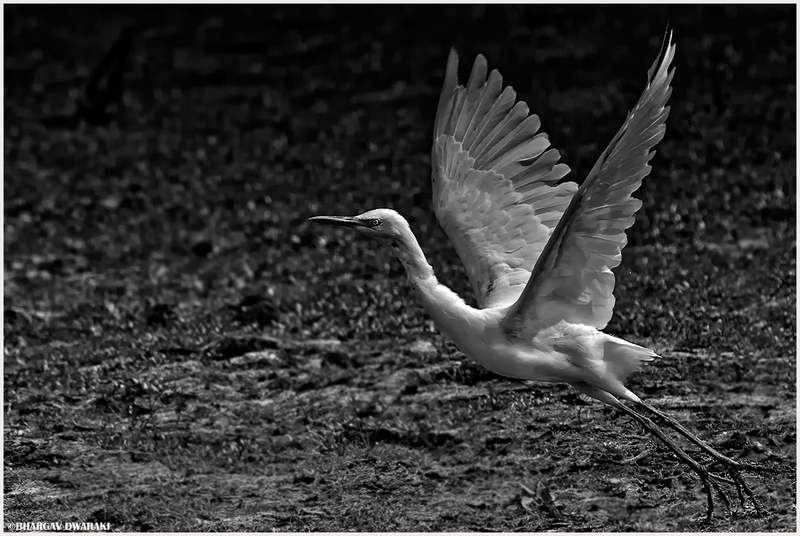 Egret’s are one of the best subjects to learn new techniques in photography as they can be easily spotted and with little patience ,one can approach and move closer to them. 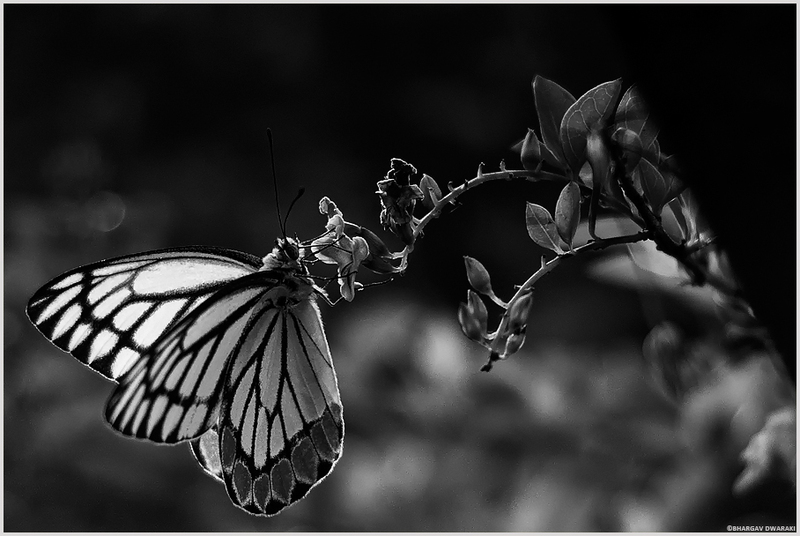 I have applied ND filter while converting into Black n White , Shot with Nikon D300s ,Nikkor 70-300mm VR , in Shanthigrama. Spotted Dove (Spilopelia chinensis) is one of the most common species of dove found across India.It is pinkish brown bird with grey upper parts with a typical black and white spotted patch on their nape are very shy and peace-loving birds. 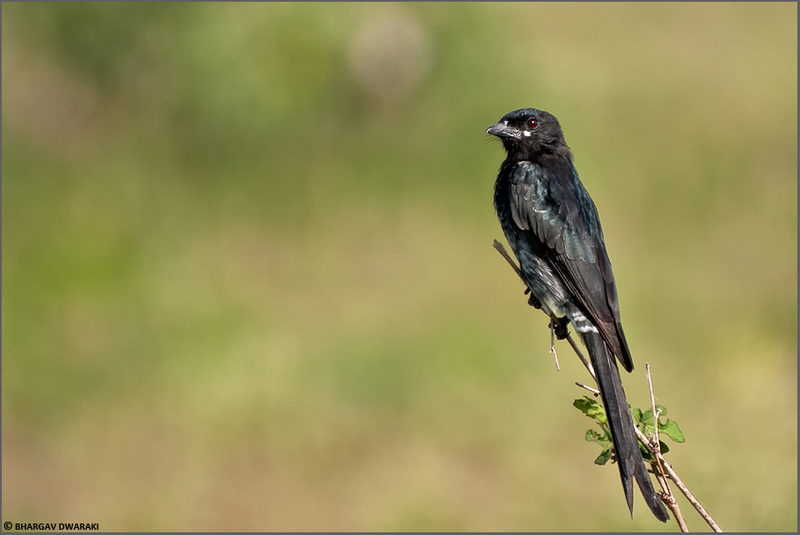 Here is the image of Black Drongo (Immature), which I captured yesterday in Hessarghatta, Bangalore. Black Drongo, Dicrurus macrocercus is also called the King Crow. It is a fairly common and residential breeder in India.Adult has glossy blue-black or green-black plumage,Tail is long and deeply forked, and curves out at the end of outer tail feathers. Head is black, with only very small white patch at bill’s commissures. Bill is black. Eyes are reddish. Legs and feet are dark grey. Juvenile is browner, with white tips to flanks and belly feathers, can be mistaken for the White – bellied drongo. It has shorter tail than adults. 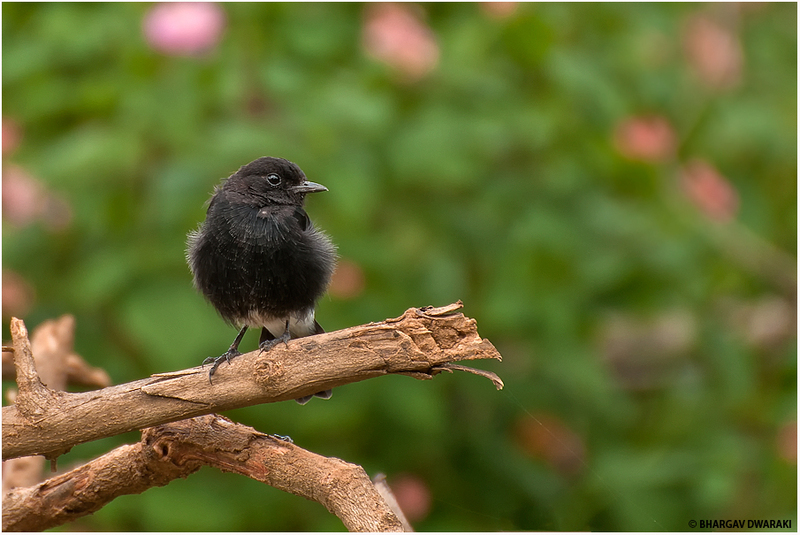 Black Drongo feeds mainly on insects such as ants and termites and crickets, beetles, bees, and butterflies.They are quite territorial,fearless and aggressive. With salary still not being Credited (which means little or no money left with me ), I had only one place to choose for this weekend, that is my house in Shathigrama. And to my luck?? It was a good a choice. Green bee eater ( I don’t know if this likes me but I see this whenever I come here, saw this yesterday too 🙂 ),Pied KF , Common KF ,White cheeked barbet ,Indian peafowl,Pheasant tailed jacana,Black headed munia,Scaly breasted munia,Baya weaver bird,Flame back woodpecker ( Couldn’t see properly but have a record shot ),Little cormorant,Yellow billed babbler,Red whiskered bulbul,Red vented bulbul,Ashy prinia,Spotted Dove,Laughing Dove,Brahminy kite,Egret,Painted Stork,Black Winged Stilt ,Red wattled lapwing ,Purple Swamphen,Common coot,Ibis and lot of other birds. 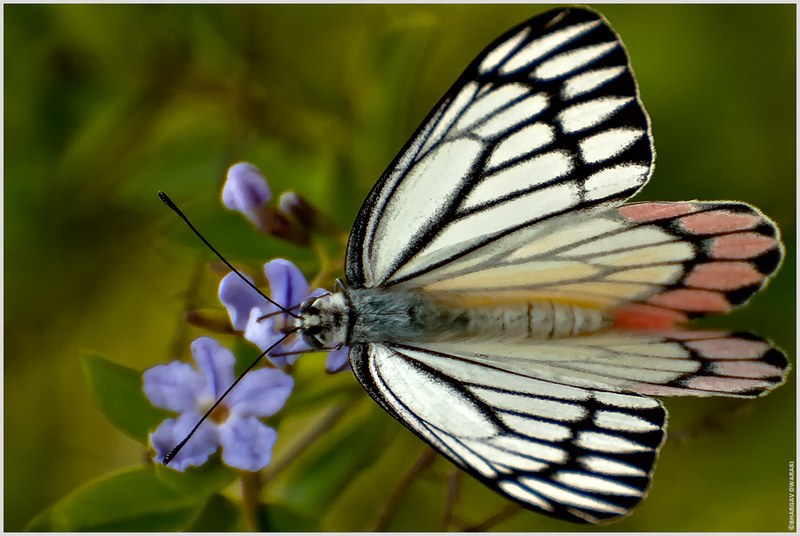 I was truly spoilt for choice as I did not know what to click, couldn’t get the shot of everything I saw, but made few good images . GOOD NEWS – My father , who was not that happy with me going around with camera has started liking my photos. He had even arranged a vehicle for me to go around the village :). 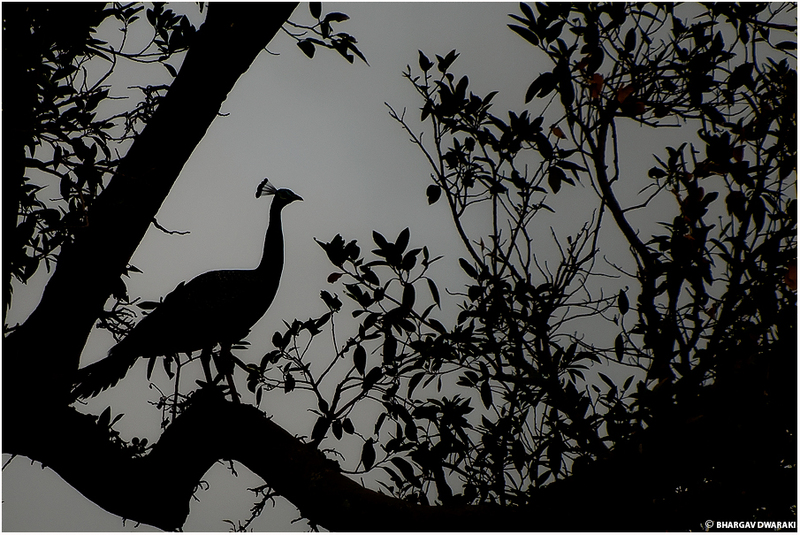 Nikon D300s with Nikkor 70 – 300mm VR , in Hessarghatta, Bangalore.